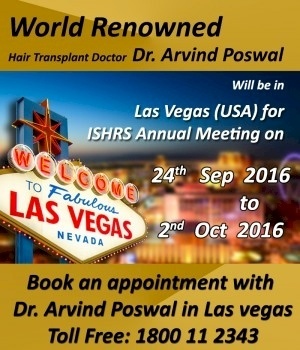 Dr. Arvind Poswal will be attending the annual ISHRS meeting in Las Vegas this month. Dr. Arvind will make himself available to anyone who is experiencing hair loss or has questions about hair transplant procedures Sep 24 - Oct 2, 2016. Dr. Arvind Poswal is the founder of Dr. A’s Hair Clinic. His clinic is presently the top ranked hair transplant clinic in the world based on number of successful patient results posted in our forum community.